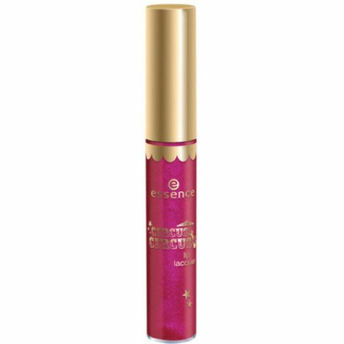 Essence Circus Circus Lip Lacquer offers a vibrant colour and long lasting luscious formula that slips on your lips with a sultry glossy finish. The long-lasting formula stays put all day long and the mousse-like texture pampers your lips, without drying. Its flat applicator allows you to effortlessly glide it on your lips for that healthy-looking pout. Gives a lustrous glossy finish. Comes with a doe-foot applicator. Explore the entire range of Liquid Lipstick available on Nykaa. Shop more Essence products here.You can browse through the complete world of Essence Liquid Lipstick .